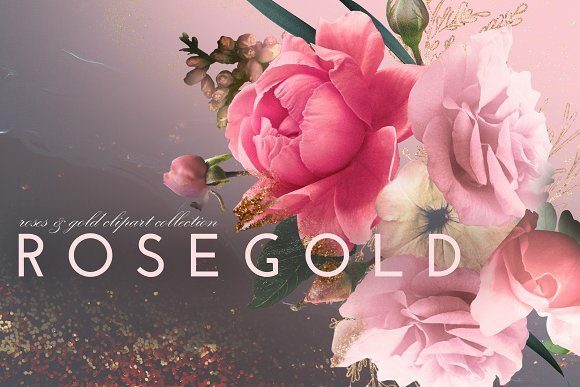 Collection of textured and retouched floral photo clipart with a touch of shiny gold. 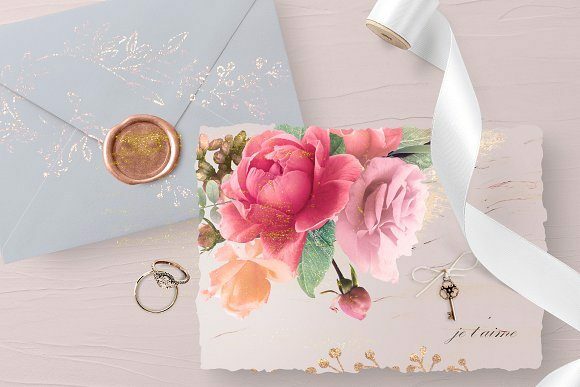 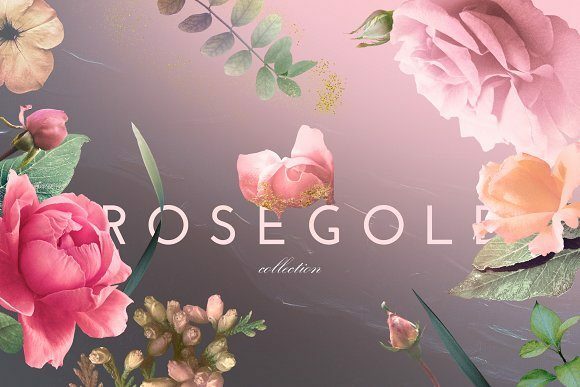 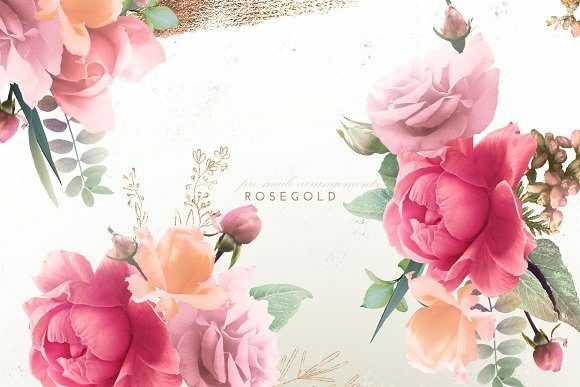 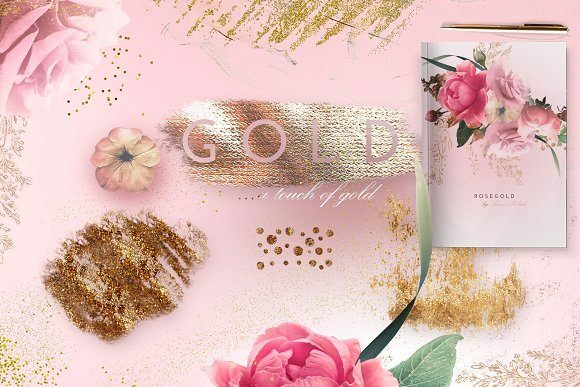 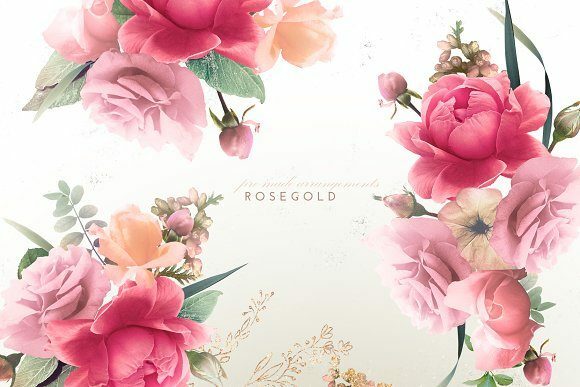 Beautiful and lush bouquets with a rosegold mood are ideal for your design projects such as wedding invitations, branding design, fashion projects and others. 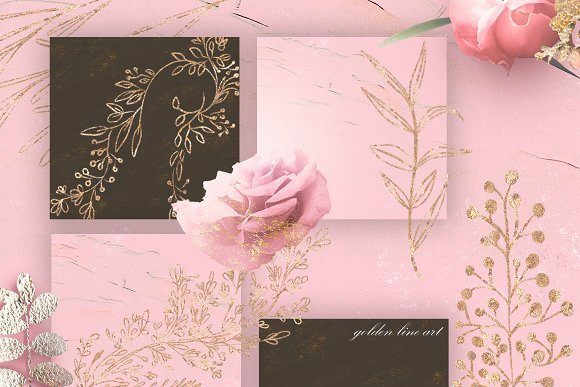 This collection contain individual floral elements, pre-made arrangements, wreaths, hand drawn floral line art, shiny gold design elements and fine art backgrounds. 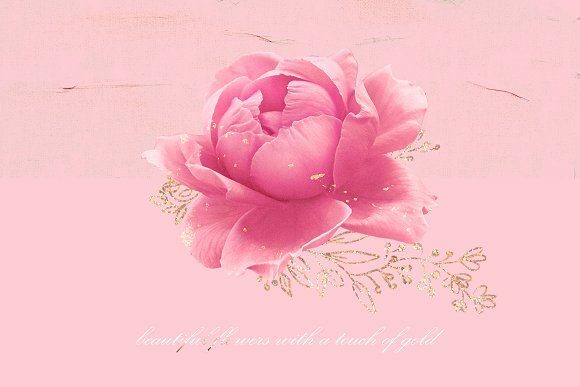 I’m glad to introduce my own beloved flowers which are grown in my own garden. 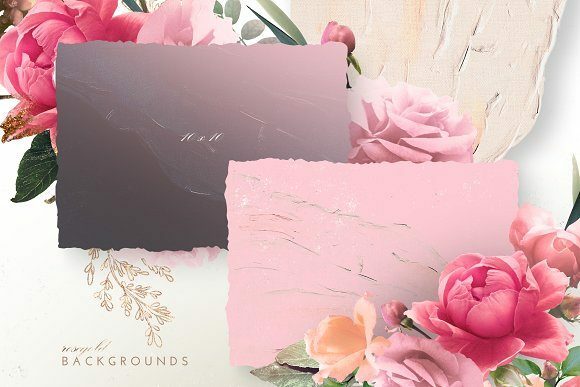 Each element is PNG on transparent background (except the backgrounds).